In December 2010, a legal action has been initiated to prevent a monopolization of name “OSHO” by any individual or group of people. The action implies the cancellation of a contested Community trade mark (CTM) “OSHO” in Europe, similar as the trade mark “OSHO” was made invalid in USA in 2009. The applicant is Osho Lotus Commune e.V., the parent organization of the Osho Uta Institute in Cologne, the biggest Osho Meditation Center in Europe. The owner of the contested CTM, Osho International Foundation, is a Swiss nonprofit corporation. What is the story about? / Worum es geht? Who is responsible for creating the trade mark “OSHO”? Why should the trade mark “OSHO” be deleted in Europe? 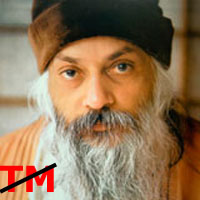 How was the trade mark “OSHO” deleted in USA? How can you support us? / Wie können Sie uns unterstützen?